BMH author and former Grace Theological Seminary professor, Lee Kantenwein, has died. He was the author of Diagrammatical Analysis, a textbook designed to help students understand the syntactical relationships in Greek and Hebrew grammar. His obituary appears below. Dr. Lee LeMoyne Kantenwein of Warsaw, Ind., died at 1:07 a.m. on Monday, May 27, 2013 at Visiting Nurse and Hospice Home, Fort Wayne, Ind., at the age of 78. 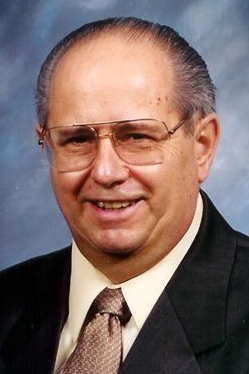 He had been a resident of Kosciusko County, Ind., for the past 48 years where he was a retired minister and educator, and a long time member of Pleasant View Bible Church in Warsaw. He was ordained to the Gospel Ministry on June 7, 1959 at the Altoona Bible Church in Altoona, Pa., and served as a pastor for over 30 years in Pennsylvania and Indiana. Lee graduated in 1953 from Altoona High School in Altoona, Pa. He played trumpet in the Roosevelt Jr. High School and the Altoona High School marching bands and orchestras for six years. He then attended Baptist Bible Seminary in Johnson City, N.Y., and graduated in 1958 with a Bachelor of Theology degree in Pastoral Ministry, and received the Evangelical Teacher Training Association Diploma. Lee continued his education at Grace Theological Seminary in Winona Lake, Ind., receiving his Bachelor of Divinity in 1968, Master of Theology degree in Old Testament in 1971, and his Doctor of Theology degree in Old Testament in 1979. As well as attending the Institute of Holy Land Studies (Jerusalem University) in Israel in January 1974. During his lifetime, Lee worked at Jomac Glove Factory as the evening supervisor for more than three years while a student at Grace Theological Seminary from 1965-1968. He retired from Chore-Time Brock in Milford, Ind., in 1999 after nearly 11 years as the Engineering Records Supervisor, and was a part-time employee at Bibles ‘n Books Bookstore in Warsaw from 1999-2009. At Grace College and Seminary he worked for 15 years (1971-1986) in Administration and Teaching Faculty as Assistant to the Seminary Dean for Student Affairs, Associate Professor of Homiletics, and the Director of the Pastor Intern Program. From 2000-2007 he taught Systematic Theology in the Prison Ministry program through Grace College; and was on the Board of Trustees for Warsaw Christian School in Warsaw, Ind., from 1981-1986. Lee was born in Altoona, Pa., on April 5, 1935 to John Charles Kantenwein and Esther Mary (Davis) Kantenwein-Miller. He was married on June 29, 1957 at the Altoona Bible Church to Phyllis Marie Grabill, who preceded him in death on December 16, 2011. He will be lovingly remembered by his two Sons: Murry L. Kantenwein (Warsaw, Ind. ); Scott A. Kantenwein (Wooster, Ohio); two daughters: Cynthia J. (husband Larry) Buckholz (Warsaw, Ind. ); Sheryl L. (husband Gene) Gephart (Austin, Tex. ); twelve grandchildren; three great-grandchildren; and his step-brother: Joseph E. (wife Donna) Miller (Altoona, Pa.). He was preceded in death by his wife: Phyllis Marie Kantenwein, parents, stepfather, and daughter-in-law, Carol Kantenwein, in 2012. His funeral service will be conducted on Friday, May 31, 2013 at 10:30 a.m. Pleasant View Bible Church, 2782 W. 200 N., Warsaw, Ind., and officiated by Pastor Michael Hontz. Burial will follow at Pleasant View Cemetery of Warsaw. Visitation will be held on Thursday, May 30, 2013 from 2:00 – 4:00 p.m. and 6:00 – 8:00 p.m. at Redpath-Fruth Funeral Home, Warsaw, Ind. ; as well as an hour prior to the service on Friday, May 31, 2013 from 9:30-10:30 a.m. at Pleasant View Bible Church. Memorial donations may be directed to Pleasant View Bible Church, 2782 W. 200 N., Warsaw, Ind. 46580; Lakeland Child Evangelism Ministries, P.O. Box 612, Winona Lake, Ind. 46590; or to Visiting Nurse and Hospice Home, 5910 Homestead Road, Fort Wayne, Ind. 46814 and would be appreciated by his family. I am sad to see this notice. I have fond memories of class with Dr. Kantenwein, and I appreciate and still use his book on diagrammatical analysis. He was a blessing to me, and I am thankful to the Lord for the opportunity to know and learn from him.